The complaint in this case contained the above quoted language and was signed by Lona Hunt, Foreclosure Specialist for Seterus, Inc., the alleged servicer and foreclosure arm for Plaintiff, Federal National Mortgage Association (Fannie Mae). The deposition of Lona Hunt took place on October 17, 2014, during which time Ms. Hunt was questioned about her knowledge of the truth and accuracy of the facts in the foreclosure complaint, which she allegedly verified. During the deposition, Ms. Hunt admitted twice that she did not read the complaint, even though she swore in the complaint, under penalty of perjury, that she had. Mr. Rosen: Q. Let’s take a look at the complaint. First of all, before you signed, did you read the complaint? (Hunt Depo, P. 43 Ln. 10-13). Later, when questioned by Plaintiff’s counsel, Ms. Hunt again admitted to not reading the complaint. P’s Counsel: Q. Okay. Now, when you received that complaint, the draft to review for execution, did you read it first? P’s Counsel: Q. Did you read it as you were going through to verify the various facts that are set forth in the complaint? (Hunt Depo. P. 55 Ln. 22 – Pg. 56 Ln. 3) Ms. Hunt’s agreement that she read it as she was going through to “verify the various facts” related only to the fact that Ms. Hunt scanned the complaint to verify Defendant’s name, the county, the UPB, and the date of default. Mr. Rosen: Q. What is it that you were looking for to compare between the verified complaint and what was on the computer? Lona Hunt: A. Defendant’s name, the county. Mr. Rosen: Q. The defendant’s name, the county? Lona Hunt: A. The UPB and the date. Mr. Rosen: Q. And that’s the date of? Lona Hunt: A. The default. Mr. Rosen: Q. Okay. Anything else that you were looking at between the verified complaint and what was on the computer screen? Mr. Rosen: Q. What was on the computer screen? Lona Hunt: A. Their loan number, their name, their address, their UPB and the default date. Mr. Rosen: Q. And was that through that PULS system as well? (Hunt Depo, P. 36 Ln. 15 – P. 37 Ln. 16). Mr. Rosen: Q. Was there anything else you looked at other than the PULS report when also looking at the complaint? Lona Hunt: A. The note and mortgage. Mr. Rosen: Q. Anything else? Mr. Rosen: Q. And also in paragraph 1 there is the word “condition precedent.” What does condition precedent mean? Lona Hunt: A. I’m not sure. Mr. Rosen: Q. I just want to know if you know what that means? Lona Hunt: A. I don’t understand, no. Mr. Rosen: Q. Okay. You understand my question, you just don’t understand what condition precedent means, is that what you’re saying? Mr. Rosen: Q. How did you know, if at all, whether or not conditions precedent to the filing of this matter had been completed or waived, if you knew? Lona Hunt: A. I didn’t know. I don’t know. (Hunt Depo, P. 43 Ln. 20 – P. 45 Ln. 3). Paragraph 2 of the Complaint states that “[t]he subject-property is owned by Defendant(s), Redacted, who hold(s) possession.” Ms. Hunt’s testimony regarding paragraph 2 reveals that she is not familiar with very the basic principles of Plaintiff’s business, such as ownership of property, as she could not properly identify the document which indicated that Defendant was the record owner of the subject property. Mr. Rosen: Q. Okay. In paragraph 2 it says subject property owned by defendant Redacted. How do you know that or do you know that? Lona Hunt: A. The mortgage and the note. Mr. Rosen: Q. And something in the mortgage and note tells you that they own – that Redacted owns the subject property? Mr. Rosen: Q. Did you know if that was the case that there were any tenants in possession of the property? Mr. Rosen: Q. And what does it mean to be subordinate, junior and inferior to the lien of plaintiff’s mortgage? (Hunt Depo, P. 45 Ln. 25 – P. 46 Ln. 7). Similarly, Ms. Hunt did not know the truth or accuracy of Paragraph 4 of the Complaint, which states that unknown spouses, heirs, devisees, etc. may have an interest in the subject property which is subordinate, junior and inferior to Plaintiff’s. Mr. Rosen: Q. And in the next paragraph, paragraph 4, that in addition to all other defendants and it says, “Unknown spouses heirs, devisees, grantees, assignees, creditors, trustees, successors in interest or other parties claiming interest in the subject property by, through or against any said defendants, whether natural or corporate, who are not known to be alive or dead, dissolved or existing, are joined as defendants herein.” How did you know about those other specifically – how did you know that that was the case? Lona Hunt: A. I don’t know. Mr. Rosen: Q. Okay. It then says, “The claims of said parties are subject, subordinate and inferior to the interest of the plaintiff.” How did you know that that was correct? Lona Hunt: A. I didn’t know. (Hunt Depo, P. 46 Ln. 9 – P. 47 Ln. 3). Paragraph 5 of Plaintiff’s Complaint states that Defendants, Mr. and Mrs. Redacted, “executed and delivered a mortgage securing payment of the note to JPMorgan Chase Bank, N.A.” Ms. Hunt did not know what that meant. Mr. Rosen: Q. What does it mean securing payment of the note to JPMorgan Chase Bank, N.A., what does that mean? Lona Hunt: A. That’s who had it. I’m not for sure. (Hunt Depo, P. 48 Ln. 3-6). Mr. Rosen: Q. And how did you know that the property described in the mortgage was owned and in possession –or who owned it and who was in possession of it? Lona Hunt: A. Fannie Mae. Mr. Rosen: Q. How did you know that? Lona Hunt: A. The Note. Mr. Rosen: Q. So, just to clarify, I’m asking you how did you know who owned and was in possession of the property at the time of – at the time of origination? Lona Hunt: A. Please repeat. Mr. Rosen: Q. Sure. I’m asking how did you know who owned the property and who possessed the property at the time of origination? Lona Hunt: A. By the note. I can’t look at the page. Mr. Rosen: Q. Let’s take a look at the note. It’s attached to the complaint, Exhibit B. Can you show me where in the note it says who owned and possesses the property? Lona Hunt: A. Federal National Mortgage Association, the back page. Mr. Rosen: Q. The back page it’s telling you who owns the property? Lona Hunt: A. It says pay to the order of Federal National Mortgage Association. Mr. Rosen: Q. Okay. What does it mean to be the mortgagor? (Hunt Depo, P. 49 Ln. 16-23). Paragraph 6 of Plaintiff’s Complaint states that “Plaintiff is the owner and holder of the note.” Although Ms. Hunt correctly identified the endorsement on the note as payable to Fannie Mae, she admitted that she had no idea what that meant. Mr. Rosen: Q. 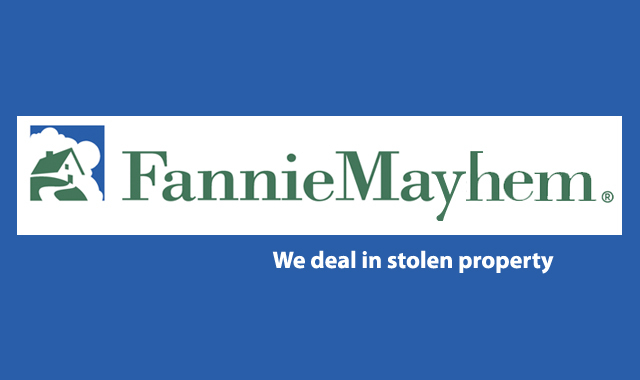 How did you know that Fannie Mae is the owner and holder of the note? Lona Hunt: A. The note where it’s stamped at the back saying that Fannie Mae – pay to the order of Fannie Mae in our system. Mr. Rosen: Q. Okay. What does it mean to be an owner and holder of a note? Lona Hunt: A. I’m not – I’m not quite sure. Don’t know. (Hunt Depo, P. 49 Ln. 25 – P. 50 Ln. 9). Paragraph 8 of Plaintiff’s Complaint states that “Plaintiff declares the full amount payable under the note and mortgage to be due.” Ms. Hunt did not know what that meant. Mr. Rosen: Q. Okay. What does it mean in number 8 that the plaintiff declares the fill amount payable on the note and mortgage to be due? (Hunt Depo, P. 51 Ln. 7-13). Paragraph 9 of Plaintiff’s Complaint states in part that “[s]aid indebtedness has been accelerated pursuant to the terms of the subject note and mortgage.” Ms. Hunt also did not know what that meant. Mr. Rosen: Q. What does indebtedness has been accelerated, what does that mean? It’s in paragraph 9, second sentence there. (Hunt Depo, P. 51 Ln. 18-22). She later admits twice that she did not know whether a notice of default/acceleration letter had been sent. (Hunt Depo, P. 58 Ln. 22 – P.59 Ln.12). Paragraph 10 of Plaintiff’s Complaint alleges that Plaintiff is obligated to pay its attorneys a reasonable fee for their services and that Plaintiff is entitled to recover attorney’s fees to statute and the promissory note. Again, Ms. Hunt did not know that to be true. Mr. Rosen: Q. How did you know the plaintiff is obligated to pay its attorneys a reasonable fee for their services? Lona Hunt: A. I don’t know. Can you repeat what you mean? Mr. Rosen: Q. Sure. I’m just asking paragraph 10, how do you know that plaintiff is obligated to pay its attorneys a reasonable fee for their services? Mr. Rosen: Q. And how do you know the plaintiff is entitled to recover its attorneys’ fees pursuant to Florida statute and the promissory note? (Hunt Depo, P. 51 Ln. 24 - P. 52 Ln. 10). Additionally, Ms. Hunt did not understand the term “deficiency judgment” found in Plaintiff’s pray for relief, the wherefore clause. Mr. Rosen: Q. What is a deficiency judgment? In the wherefore clause it says deficiency judgment. What is that? Lona Hunt: A. Not sure. Some may argue that the terms which Ms. Hunt was unfamiliar with are “legal conclusions” and that she does not have to be familiar with those terms. However, this argument is preposterous! The document Ms. Hunt was verifying is a legal document, with legal terms to describe the factual allegations to which Ms. Hunt swore were true and correct. If Ms. Hunt does not understand the very basic terms of her employers business, she cannot possibly truthfully and accurately verify the allegations of the complaint and must not sign, under penalty of perjury, otherwise. As a very astute judge once said to me, until someone goes to jail, nothing will change. It's infuriating that banks continue to break the law. However, in this instance, no words can describe how outrageous this conduct is. Here Fannie Mae and Seterus, through their robo verifier, are breaking the very law with the same conduct that necessitated this particular law in the first place. It's like a ponzi schemer, raising money to pay investors by ripping off new ones, or a drug dealer posting bond by raising money selling more drugs. Quite simply, if swearing under penalty of perjury, that you read something while later freely admitting, twice, that you did not, is not a crime, I don't know anymore what is. If I did this, I'd expect to be charged with a crime but for the banks, I suspect this will just be treated as another "mistake" or "paperwork irregularity." It is neither of those things. THIS IS A CRIME AND IT SHOULD BE PROSECUTED LIKE ONE, FROM THE HIGHEST LEVELS OF FANNIE MAE AND SETERUS, WHO ARE PUTTING ROBO-SIGNERS IN A POSITION TO COMMIT THEM. Here it is Pam Bondi and others, crystal clear proof that a crime has been committed. QUESTION IS - ARE YOU GOING TO DO ANYTHING ABOUT IT?